Most modern laptops automatically dim the screen when the light conditions in the room change. If there is a lot of light, the screen normally increases in brightness to make sure you can still see everything clearly. If the light conditions are turned down, the screen will also descrease in brightness. This isn’t only pleasant on the eyes, but will also probably extend your battery life. But why not take this a step further and not only adjust the brightness of the screen, but also increase the readability of the web site in the user’s browser? In this article I’ll show you how you can use input from the webcam, in a fully HTML5 compatible manner, to detect the luminance of the room. If you’re in a brightly lit location, the browser will dynamically increase the contrast between the background and the fonts. If the lighting conditions change, you’ll see this also automatically reflected in the background. If you want to directly look at the result look here. The first couple of steps are easy, and you can find a more detailled explanation in one of my previous posts. 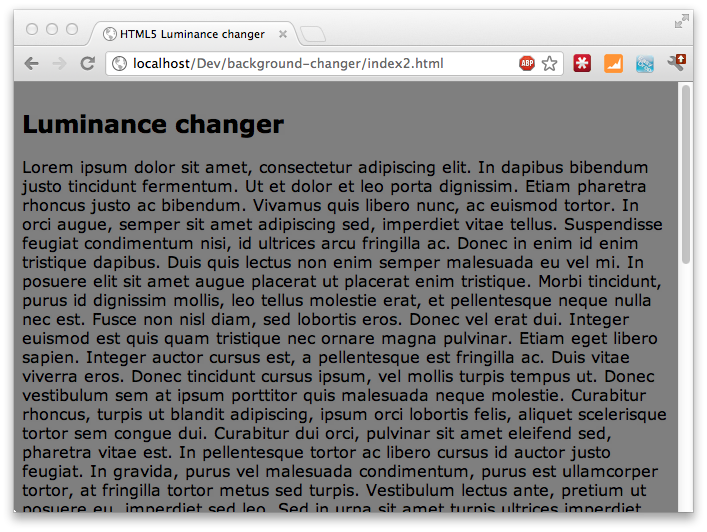 I tested the code in this article with the latest development build of chromium. 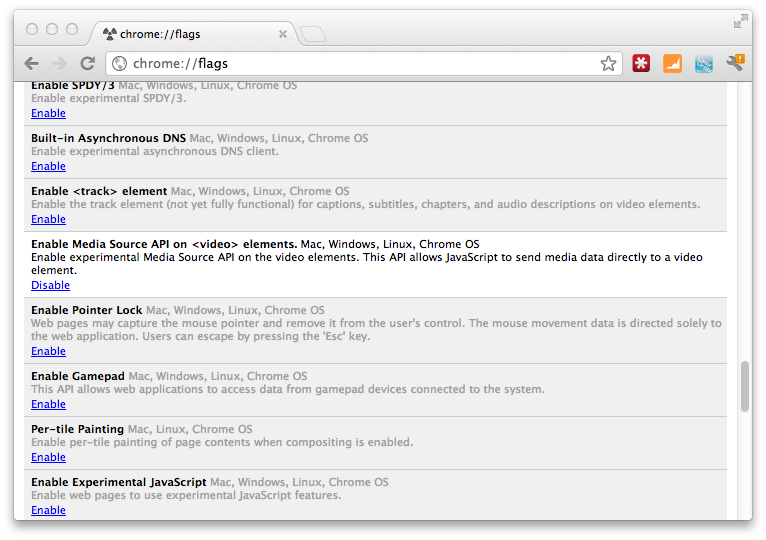 To enable webcam access (through the webrtc APIs) you need to open chrome to the following page: And there enable getUserMedia API. Restart the browser to be sure, and you have access to the getUserMedia operation that you can use to access the video stream (and in a later version also an audio stream). Output the videostream to a video element. Copy a snapshot from the video element to a canvas element. 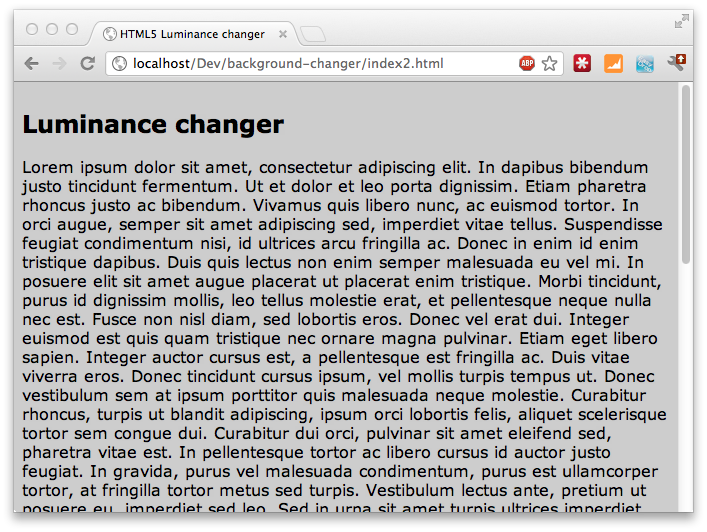 It isn´t useful to show the video, so create a div with a video element, and use css to hide the div. The pix variable will now contain the bytes that make up the image. With this bytearray you can calculate the luminance of the picture. That leaves us just with the last part. Change the background based on the current luminance. And that’s it. Now every two seconds a screenshot is taken, the luminance of that screenshot is calculated, and using jquery animations the background color is adjusted.